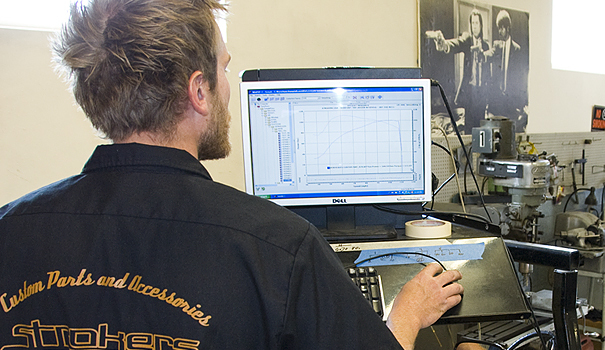 Strokers USA has a custom machine shop where we build performance into your Harley Davidson® motorcycle. From wild to mild, let Strokers USA design your motorcycle engine with the horsepower and torque you desire. 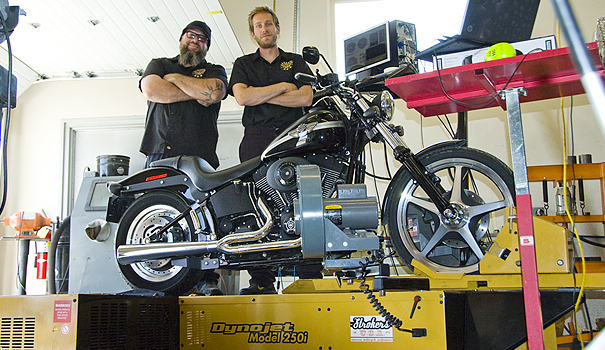 With our new state of the art Dynojet 250i we have the capability to custom map any and all engine combinations. From adding exhaust, air cleaner combinations to big cams and even bigger engine displacement, for best results a custom map for your bike should be built. At Strokers we tune each cylinder front and rear and at every RPM and KPA or throttle position available for each motorcycle. Timing and injector pulse widths are also maximized to squeeze out all available horsepower and torque on fuel injected or carbuerted motorcycles.